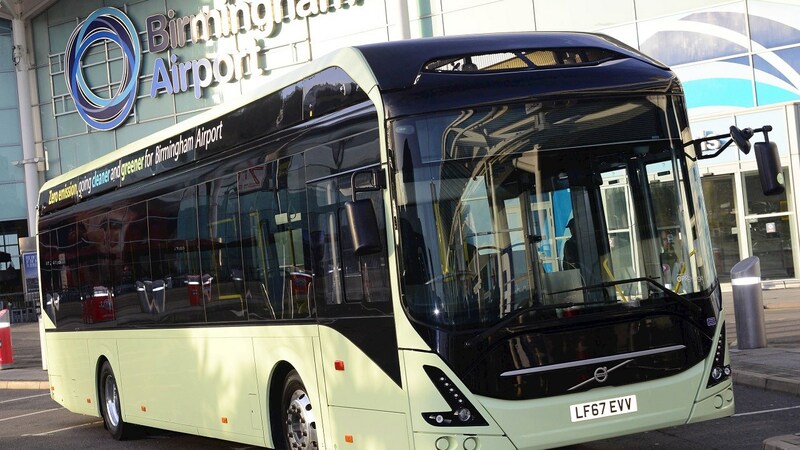 Pioneering technology leader ABB, along with Volvo Bus and Birmingham Airport today announced a collaboration, which will see the launch of an environmentally-friendly passenger transport service in and around the airport. Available from November 2019 to the airports 13 million annual passengers, retail staff and airline crew, the service will see six Volvo 7900e fully electric, low emission single deck buses service the airport grounds. Due to the requirement for 24/7 operation, each of the Volvo 7900e buses will be recharged en route using the ’OppCharge’ opportunity charging pantograph system from ABB. Charging will take two to six minutes to complete, providing flexibility and enabling continuous operation for the electric buses without having to spend time in the depot being ‘topped up’ with power. Part of the ABB AbilityTM portfolio of digital solutions, ABB chargers benefit from cloud connectivity, which allows for remote diagnosis and management, ensuring reliable and efficient infrastructure for bus passengers. As the world leader in electric vehicle infrastructure, ABB offers the full range of charging solutions for electric cars, electric and hybrid buses as well as electrification solutions for ships and railways. ABB entered the EV-charging market back in 2010, and today 10,500 ABB DC fast chargers have been sold across 73 countries, more fast chargers than any other manufacturer. OppCharge is an open interface for the automated charging of both single and double deck electric buses, from any manufacturer, using a pantograph on the infrastructure to connect the bus to the charging point.